I've been looking over my posts from last month (does anyone else do that?) and realized that create with kids month was left hanging. I'll have an official wrap up soon, but for now, I wanted to share collection of crafts I did for Mom IQ. My two toddlers are overjoyed when they see the items they lovingly made (or helped to make) being used around the house. And I have to say-- as a busy mom, it feels good to channel my toddler's endless store of energy into items that can be used over and over. 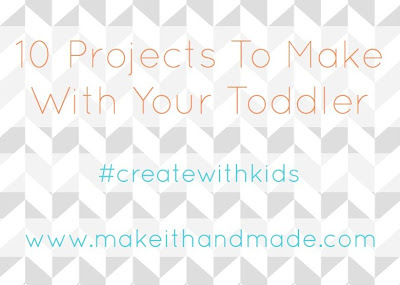 Here are my top 10 picks for fun, functional projects to make with your toddler. Your toddlers can decorate these clever construction paper kites with paint or crayons. You can then either hang them up, or take them out to the park and 'fly' them. Asia from Fun At Home With Kids came up with this Recycled Car City as a way to reuse food containers. Together, she and her son created a toy that they can enjoy for hours and hours! Looking to make a few cards for friends and family? Michelle from Rust and Sunshine used a toilet paper tube to make a stamp for her toddler. How much would Grandma love to get toddler-made cards in the mail? Learn to dye yarn safely with kids at Make It Handmade, and use the resulting yarn for knitting, pom poms, or crafts. My kids love to garden because they get to play in dirt! See how Ashley and her daughter made planting even more special with a personalized garden pot for their cactus. 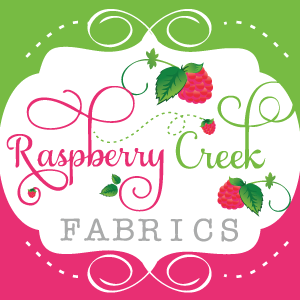 Have a child who is a budding fashionista? With this fun tutorial, even the smallest toddlers can make friendship bracelets. I fell in love with this Lemon Rind Bird Feeder that is made with items from your kitchen. What a wonderful way to connect with nature right in your backyard. Little ones will love to help make these tiny paper pom poms. Although they were originally intended as ornaments, they would make perfect party decorations, or would even make a fun lightweight toy to throw around. Clara from Small + Friendly came up with the most brilliant craft. 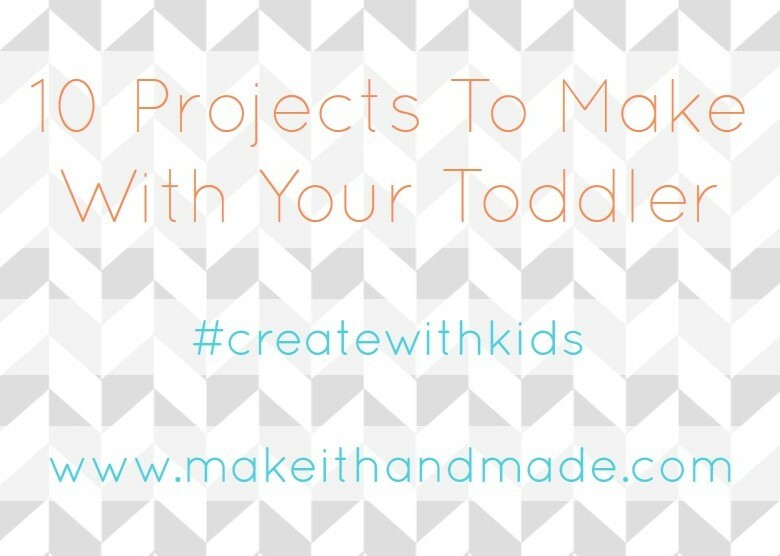 Follow her instructions to have your toddler make their own designer dishware! 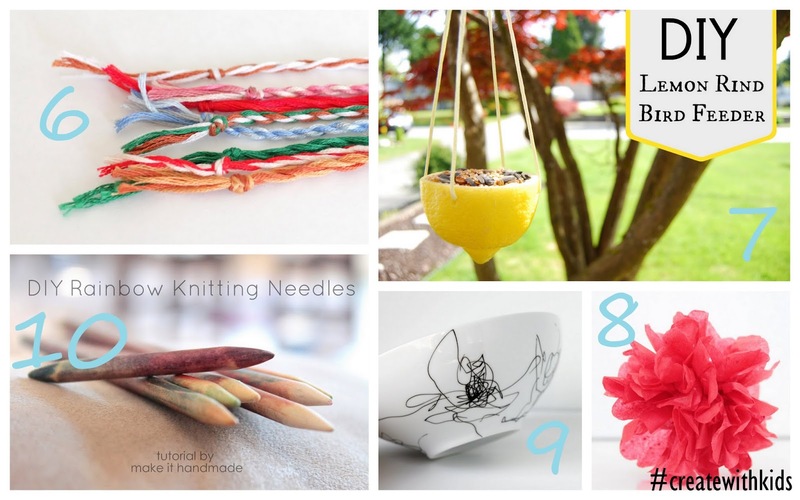 Finally, these Rainbow Knitting Needles would make perfect gifts for the knitter in your life. My kids still get excited when I use my pair. 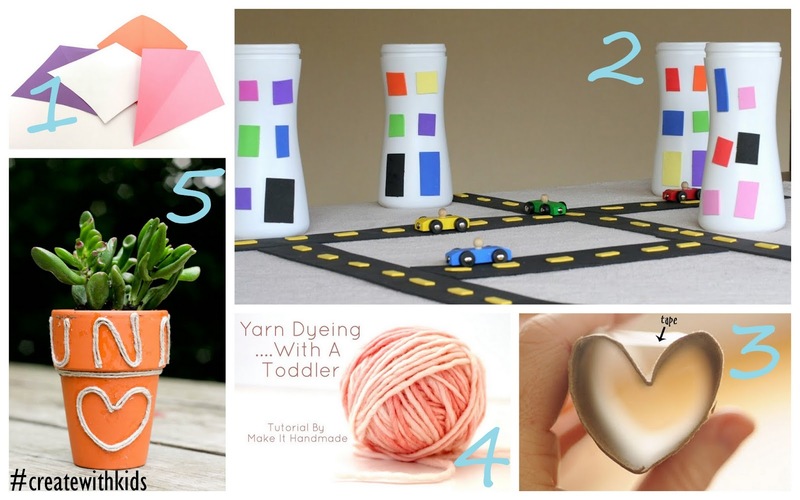 There you have it!10 toddler crafts that will be used and enjoyed-- and won't end up cluttering your fridge.